Mustaine's first recording since being ousted from Metallica 2 years before gives true merit to his metal song-writing skills. Megadeth establish a fast/shredding metal sound that is different enough from Metallica to establish a loyal following in their own right. 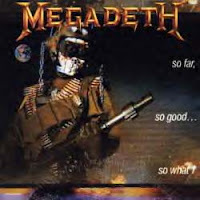 With Megadeth's 2nd release they establish a level of consistency with their fast metal sound. This recording also seems to have more direction & consistency within itself as well. 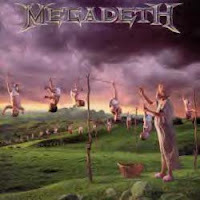 Political themes make their way into some songs here too (most notably on the title track), a premonition of what will become a trend for Megadeth in the years to come. 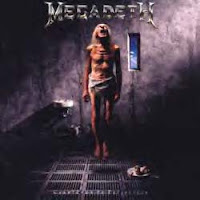 By Megadeth's 3rd album, the drug habits of the group begin to take a toll on their song quality. 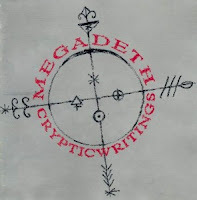 Although there are certainly some great metal songs on this album, I must bring myself to say it is probably their 2nd-worst album. 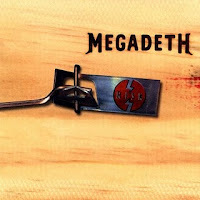 Don't let this deter you though, it's still a great deal better than many other heavy metal albums that are out there. I won't spend too much time on this album here. 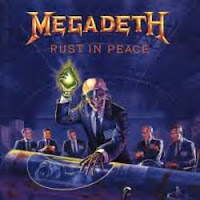 For a more in-depth review, see my "Rust In Peace" post! In a nutshell: This is the BEST Megadeth album ever. 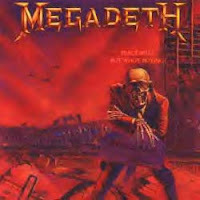 Since the late 80's, Megadeth had been contributing many songs to various movie soundtracks and compilations over a number of years. 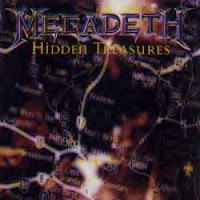 Most of these contributions never appeared on an official Megadeth record... until now! 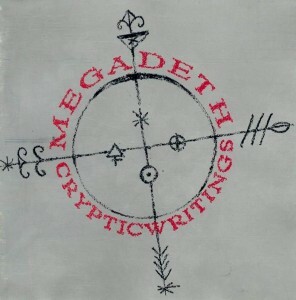 This is a collection of previously released songs, none of which had been on a Megadeth release. In essence, it's almost like a Greatest Hits record of all new songs. 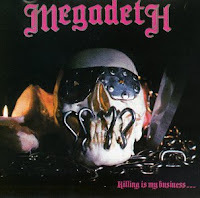 This album was intended to be Dave Mustaine's debut solo-album, however the legal-schmegal fine print of record contracts made it easier for Dave to keep the Megadeth moniker, rather than drop it. 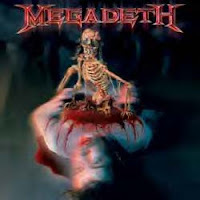 From this point on, one may want to view any Megadeth material as Dave Mustaine's solo project. 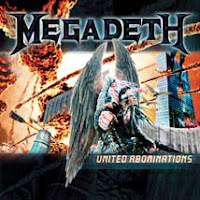 If "System" was a true return-to-form for Megadeth, then United Abominations may become known as a masterpiece. Here is another solid step in the direction of unyielding thrash. 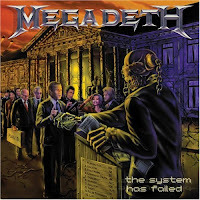 Mustaine has changed the band's line-up (again), but the speed and technical masterwork on lead guitar doesn't skip a beat from "System". If you thought some of the lyrics were controversial on the previous album, then you better brace yourself for some of these. I've never heard good ole' Dave tear into politics without holding anything back as much as he does here. I'll take a moment here to say that although I don't always agree with some of Dave Mustaine's out-spoken opinions, I truly admire him for having the balls to say what he believes. This is what Rock music & Heavy Metal are all about: sticking it to "the man" (thank you, School of Rock). 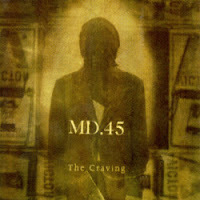 Much of the criticism on this album is aimed at US foreign policy and the actions (and inactions) of the United Nations. But if you can put some of your opinions aside for the sake of banging your head to some shredding metal, then United Abominations is sure to cause you some well-deserved headaches! (Although I was ROTFL myself as I watched & listened, I also was able to appreciate this guy's voice as he was actually pretty good at imitating Paul's singing style). It also made me realize that Paul has had a ballad or power ballad on pretty much every KISS album I could remember. So I looked into it a little more closely and came up with this list (in case anyone wants to make a mix CD or i-pod play list of Mr. Stanley's ballads through the years). 1978: PAUL STANLEY's Solo album is packed with ballads-pick one you like! Live To Win ('07)-This is Paul's new solo-album (post-KISS). 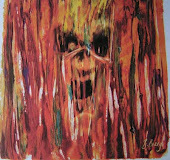 Similar to his '78 solo album there are several ballads to pick from. Try EVERY TIME I SEE YOU AROUND, or SECOND TO NONE. In today's Heavy Metal scene Stone Sour started up as a side project for a couple of the guys in Slipknot. The primary reason being that the material they wrote for this new band was such a departure from the blistering & brutal over-the-top heavy sound that Slipknot had become known for. Personally, I think this was a brilliant move: StoneSour is much more main-stream than any previous Slipknot material, and because of that they have opened themselves up to a whole new audience without the worry of preconceptions deterring those who may not prefer to listen to anything Slipknot are associated with. 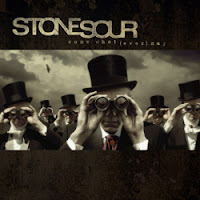 Stone Sour first caught my ear with "Through Glass" from their 2nd album, Come What(ever) May. This song has gotten plenty of air-time on hard rock radio stations across the country, and probably represents the softest side of Stone Sour. Don't be mistaken, they can still thrash out some heavy tunes, although even these have a bit higher vocal quality than most of Slipknot's music. Corey Taylor really taps his vocal potential in this "side-project", which I hope sticks around for many years to come. Dated January '09: I must correct myself! Thanks to the November '08 issue of Revolver magazine, which featured a cover-story on Slipknot & their new album "All Hope Is Gone", I stand corrected on Stone Sour's origin. It turns out that Corey Taylor was in Stone Sour originally, before either band had a record deal. The members of Slipknot invited Corey to join the band when they competed against each other in a local "Battle of the Bands" contest. When Taylor agreed, they gave their old singer the boot and landed a record deal shortly after. Once Slipknot had established themselves, Corey Taylor got back together with Stone Sour during one of Slipknot's breaks. Having the work from Slipknot under his belt, a record deal now came much easier. I hope both bands can continue their careers for quite some time. My apologies for getting these details wrong on my initial post. I'll leave the original content as proof that I don't know everything about heavy metal (too many sometimes claim they do!). A little humbling does us all some good every now & then. I'll try to keep up on my facts in the future, but correct myself when I do find errors. Happy headbanging!